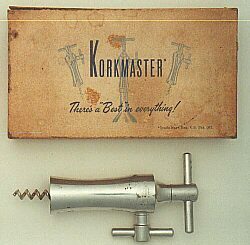 The Korkmaster was a Design Patent (#148,810) issued to Marshall T. McDowell of New Jersey on Feb. 24, 1948. 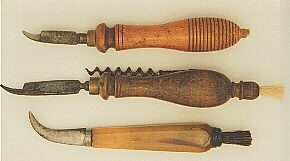 Champagne knives including a rare one with corkscrew. 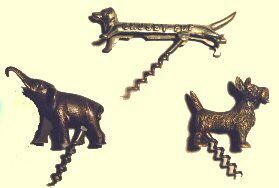 A corkscrew (?) 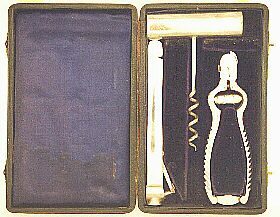 for the alcoholic! 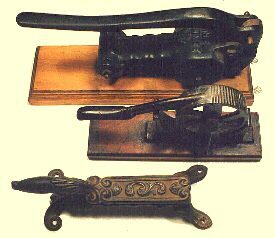 These are corksizers used by apothecaries. The cork is wetted and inserted into a slot in the sizer. 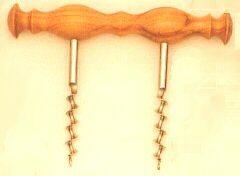 The cork is compressed when the handle is lowered.